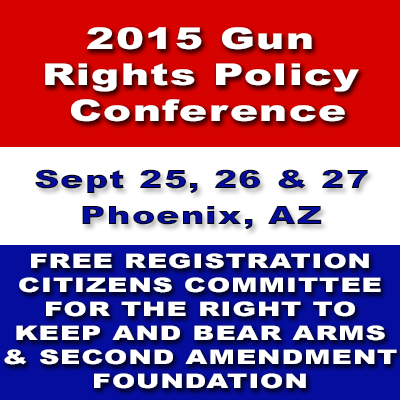 The Gun Rights Policy Conference will be held in Phoenix the last weekend in September. Admission is free. Register HERE. Rooms are $109/night plus tax. Reserve rooms HERE. Come rub elbows with the movers and shakers in the firearms civil rights community. Might wanna check your links :). What do you do about gun free zones? We need more German-style gun laws! Should 2015 see the end of gun ban zones?